Like I said, I'm normally finding other people's pre-loved things, but it's been a different story of late. I lost my dear Granddad at Christmas, he was the most wonderful man I've ever known. The son of Romanies, a rag and bone son turned master carpenter, who set his sights high on my well to do Nan. We've had lots to sort out, and I avoided going to their house after. I didn't want anything, I had my memories. But I did go in the end, and it was a comfort, being surrounded by my grandparents things. I have my grandads flat cap, which I wear. 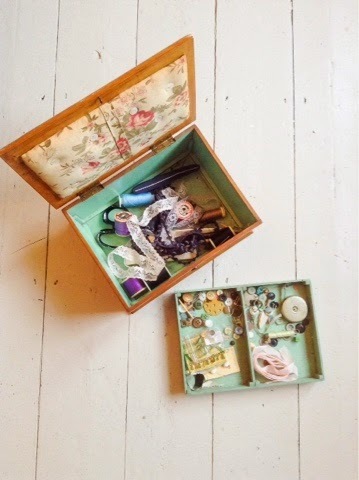 And my nans sewing box, which I use. 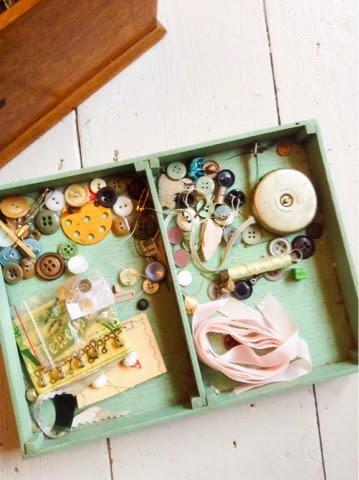 I wanted to share this little sewing box with you. 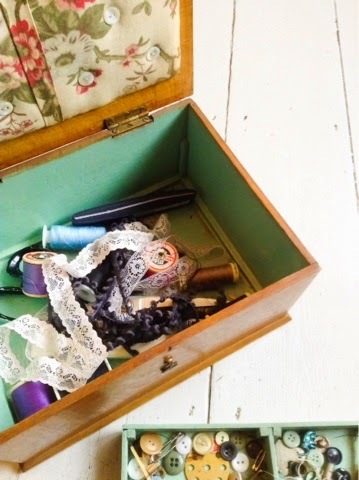 It's helping me evolve my interiors business, as I'm now sewing like mad to get my cushions ready for next month. 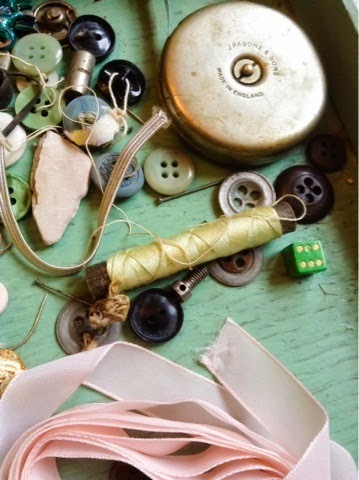 It's a joy to use, a box of happy memories.